NYC-based Graphic Designers, Rey and Eric have channeled their passion for Comic Books into a career in Art. 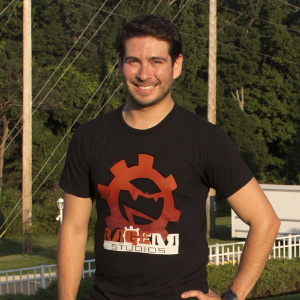 In 2012, they established Rage Gear Studios, where years of geeking and arting have merged to produce images that appeal to fans of multiple genres. In addition to their own projects, they've collaborated and produced marketing materials for Gay Geeks of NY, displayed at various venues throughout the city, including the Stonewall Inn, Think Coffee and the now-defunct Vlada/Infuse51. They are joined by Miguel, fellow geek/artist and Richie, multi-media producer.